Healthy Body - Healthy Life! I believe in training with intensity, eating to fuel your body and having fun while doing it. If you’re not enjoying fitness…what’s the point?! Everyone's body is different, so there's not a one-size-fits-all answer to how long it will take to see changes in your body when you start working out. It also depends largely on the kind of workouts you're doing. Being fit and living healthy is what I know and love. Fitness has always been a part of my life. I grew up in a fit family—my dad ran marathons, we had a home gym, and my parents always had gym memberships. Alex encourages you and pushes you to achieve your potential. I’ve seen great results over the past few months! His tips on nutrition are excellent and his dedication is clear. 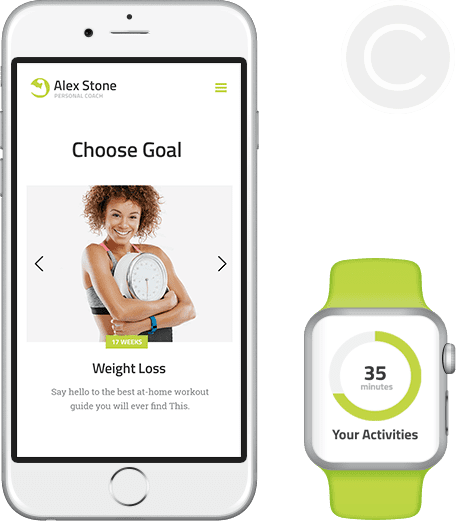 Alex Stone knows his stuff and is passionate about helping you to achieve your own health and fitness goals. The workouts are always different and I look forward to each session. Highly recommended! I have been working with Alex for almost a year now, and I couldn’t be happier with the results and experience. I have learnt so much from Alex, he is willing to share his expert knowledge and answer any questions you come up with. This programs will change your life! I have the Muscle Building, Bikini Body and this one is my favorite. Alex puts so much detail into these programs to give you exactly what you need! Say hello to the best at-home workout guide you will ever find! This program is great if you cannot get to the gym, but still want a kickass workout and nutrition program! Get for free my trial version of Muscle Building program! My two-phase program is designed to build muscle via the right balance of mass-building exercises..